Customers have new rights - are you prepared? Businesses who deal with the public on a daily basis should think about reviewing their terms and conditions in plenty of time before new rules come into force. That’s the warning from Andrew Oranjuik, the head of dispute resolution at Martin-Kaye Solicitors in Telford, who said companies should be acting now before the rule change on October 1st. “It’s about time that new customer service rules were introduced as the existing set are disjointed and outdated, so I’m very pleased to see the new Consumer Rights Act coming into force,” said Andrew. “The difficulty is that many of the existing rules were introduced before the digital age came into being, and they are no longer fit for purpose. Andrew said the changes would bring in different levels of remedies depending on how defective the goods received were. Andrew said one of the biggest changes was the introduction of new rules covering the quality of digital content such as music and film downloads, which demanded the files should be of a good enough quality and fit for purpose. “Businesses will also have to make sure they adopt fair contract terms, and clearly set out the actions they will take over faulty goods and digital content in their terms and conditions. 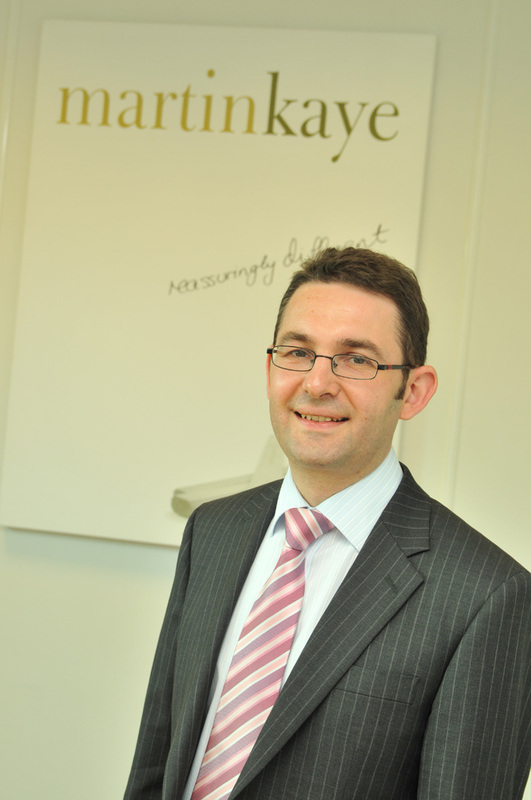 Sacking an employee on the spot may seem like a good idea, but Shropshire employers could face costly consequences - that's the message from Martin-Kaye's employment law specialist John Mehtam. His message follows the case of a crop worker who was spotted by a passer-by “watering the crops” rather than using a nearby portable toilet. The passer-by complained to the farm managers and reports said the worker had been ‘sacked with immediate effect’. “The truth though is that well-worn phrase doesn’t actually add up as instant dismissal should never be seen as an option. “If an employee has acted irresponsibly or caused an incident that cannot be ignored, then on the face of it, sacking them there and then may seem like a quick and easy resolution. But instant dismissal is never a good idea even if the sacking is for an obviously fair reason. “Employers must always follow a fair and reasonable procedure in all disciplinary cases, because otherwise an employment tribunal could find in your employee’s favour, and you could face a fine of up to £5,000 for not following the rules. John said employers needed to take care when dealing with dismissals and should follow the agreed procedures step by step. “Instant dismissal puts an employer in a potentially vulnerable situation that could end up being extremely costly, so it’s important you don’t allow yourself to be caught out. Alpha is a business protection scheme created by Martin-Kaye that offers employment law advice and human resources support to UK companies 24 hours a day, seven days a week. Children who are ‘cut out’ of their parents’ wills could find it easier to claim part of their estate after a landmark legal ruling, a Shropshire lawyer has said. Andrew Oranjuik claimed this week’s ruling by the Court of Appeal could pave the way for other wills to be overturned or changed by the courts, if they were deemed to be ‘unfair’. Mr Oranjuik, head of commercial litigation at Martin-Kaye Solicitors in Telford, was commenting after the end of a 10-year legal battle by Heather Ilott, who went to court after her mother Melita Jackson left her entire £486,000 estate to animal charities. Mrs Ilott, who has been estranged from her mother for 26 years and was claiming benefits, has now been granted a third of her late mother’s estate – a total of £164,000. Mr Oranjuik based at Martin-Kaye’s Euston Way head office in Telford, said the decision could significantly weaken people's right to leave money to those they want to inherit it. “In light of this decision, it is arguably now easier for an adult child to make out a claim for maintenance in the right circumstances,” he said. He added: “There has long been the ability for children of deceased people to claim reasonable financial provision for maintenance. That often involves the child having relied on maintenance provided by the parent or being dependent. “What is unusual about this case is that Mrs Ilott had been estranged from her mother for 26 years, and was not in any way dependent on her. Mr Oranjuik said: “Essentially this ruling means you can still disinherit your children, but if you want it to stand up in court, you will have to explain why, as well as explaining what connects you to those you do leave money to. Employers who are sick and tired of staff claiming to be ill so they can take a sneaky day off can hear from the experts about how to tackle the problem. Lawyers from Martin-Kaye Solicitors in Wolverhampton, are hosting a seminar on Thursday, July 30, at the Ramada Park Hall Hotel in the city, at 6pm. Speakers on the night will be employment law specialists John Mehtam and Lubna Laheria, and they will share their top ten tips on how to deal with sickness absence in the workplace. “Our seminar is targeted specifically at business owners, leaders, and human resources managers, and we’ll be explaining how they can tackle sickness absence but most importantly, how to stay within the law,” said John. “It’s so frustrating for employers who hear lame excuses about why their staff can’t make it into work, but equally it’s vital that those employers are able to recognise the difference when staff may actually be ill. The presentation is the latest in a series of HELP seminars run by Martin-Kaye which are designed to help employers learn how to deal with common situations they may face every day in their business. HELP stands for HR and Employment Law in Practice and the events offer businesses a unique opportunity to hear from the experts when it comes to tackling topical issues. 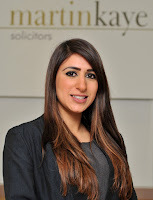 “We’ve run our HELP events all over the Midlands and the aim is to take delegates through the minefield of employment pitfalls and all the latest topical workplace issues,” said Lubna.